It could take you hours to decide which food truck is the best. Feeling overwhelmed? MostBest knows the Top 3. Looking to grab a tasty bite on the go? These trucks are sure to hit the spot, with everything from breakfast to dessert! Just outside of the Ala Moana Shopping Center sits the Kau Kau Grill food truck from Monday through Friday. Setting the bar pretty high, Kau Kau Grill continues to wow its patrons through a consistent menu of choices such as their Baby Back Ribs, Garlic Ahi, Garlic Shrimp, and Smoked Meat. 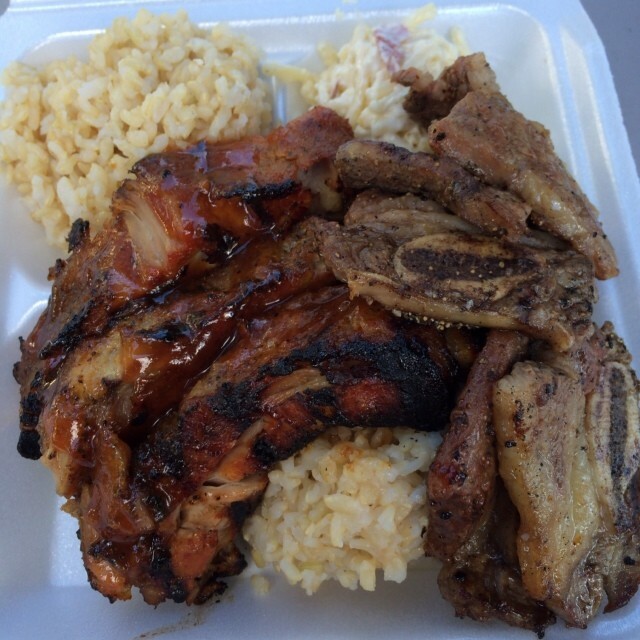 First timers at Kau Kau Grill are recommended to order the “Trust Us Combo”, which comes with a heaping serving of tender, tasty BBQ Ribs and flavorful Garlic Shrimp. Banán, both the name of the truck and the specialty frozen banana treat it serves, is all about indulging without sacrificing health. Since Hawaii is one of the few states which grows bananas, this truck also promotes sustainability. Frozen bananas are blended into a creamy soft serve-like snack and combined with natural flavors like pineapple, coconut, and ginger mint. The best part is the bowl it comes in, which is a half of a papaya! 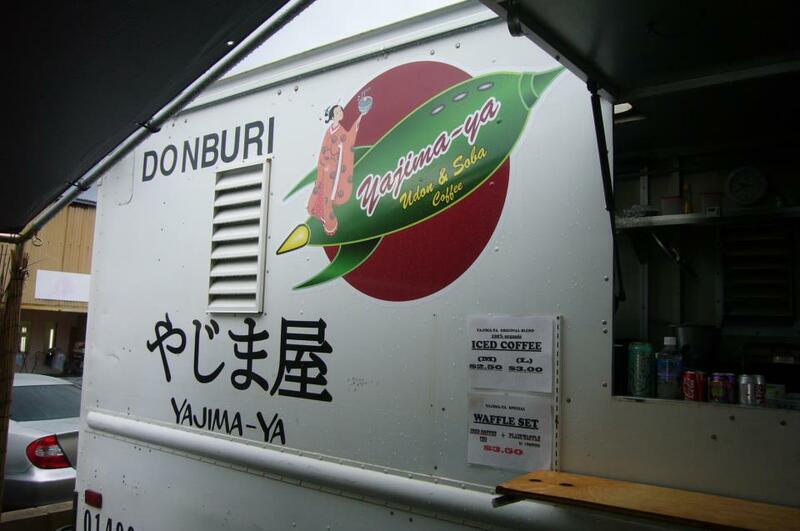 Look for the distinctive Yajima-ya Lunch Wagon logo of a geisha holding a bowl of noodles and riding a rocket to pick out this popular lunch and breakfast spot. Tented picnic benches out front provide a quick way to dig in and devour tasty Japanese and locally-inspired dishes while they’re still piping hot. The Mushroom Chicken is a must-try and hands down the local favorite. 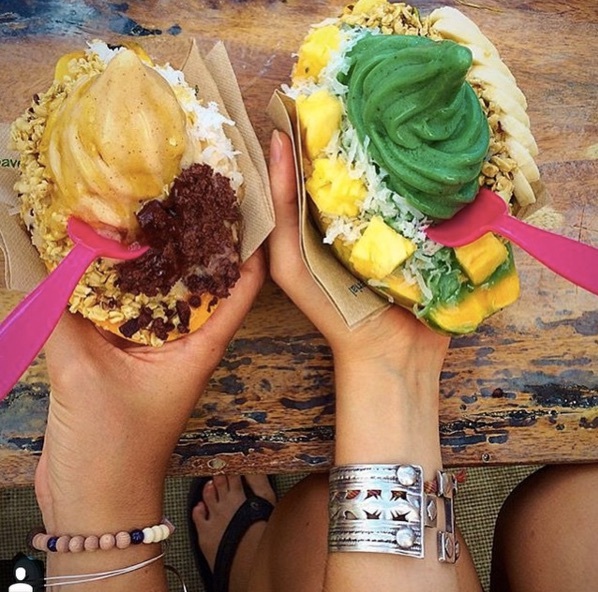 This entry was posted in honolulu and tagged banan, banana, bbq, breakfast, dessert, dinner, food, food truck, foodie, honolulu, kau kau grill, lunch, noodles, papaya, restaurants, takeout, to go, yajima-ya lunch wagon. Bookmark the permalink.